As some of you may know, I’m on a continuing quest to find ways to use up leftover chipotle peppers (the canned ones in adobo sauce). Even after using them in the original dish I needed them for, making chipotle butter, and chipotle ranch, I still had some left. It was time to expand my thinking. Since the combination of chocolate and spicy is a popular thing now, I turned my mind to dessert. Now, I may have mentioned before (though I’m too lazy to actually go back and check) that I’m not the biggest fan of brownies. I know, I know…I don’t know what’s wrong with me. 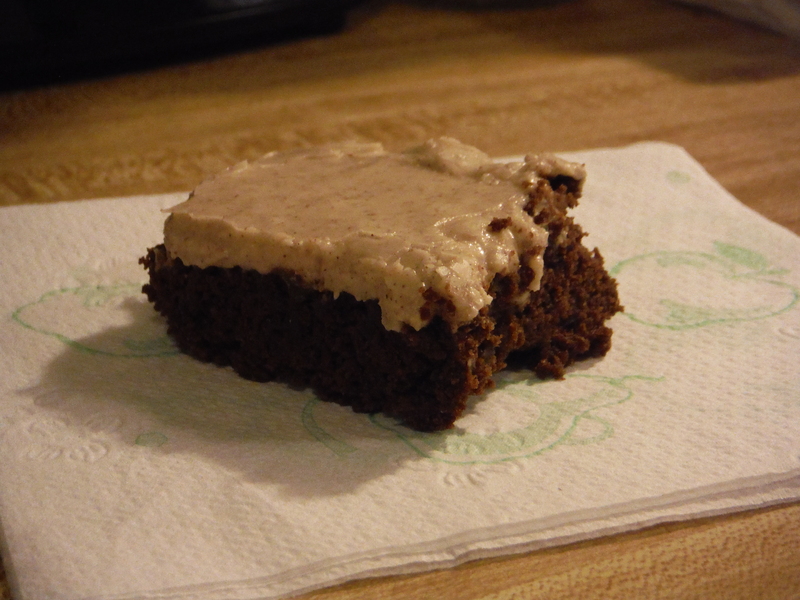 But in this case brownies seemed like the perfect subject to turn to for my chipotle experiments. Actually considering I’m kind of a weenie when it comes to spicy it’s somewhat surprising that I’m the one who came up with these brownies. And that I actually like them! But the chipotle adds a nice subtle, smoky kick without setting your mouth on fire. So I guess the point you should take away from this is that if someone who isn’t a huge fan of brownies or spicy likes these brownies they must be really good. 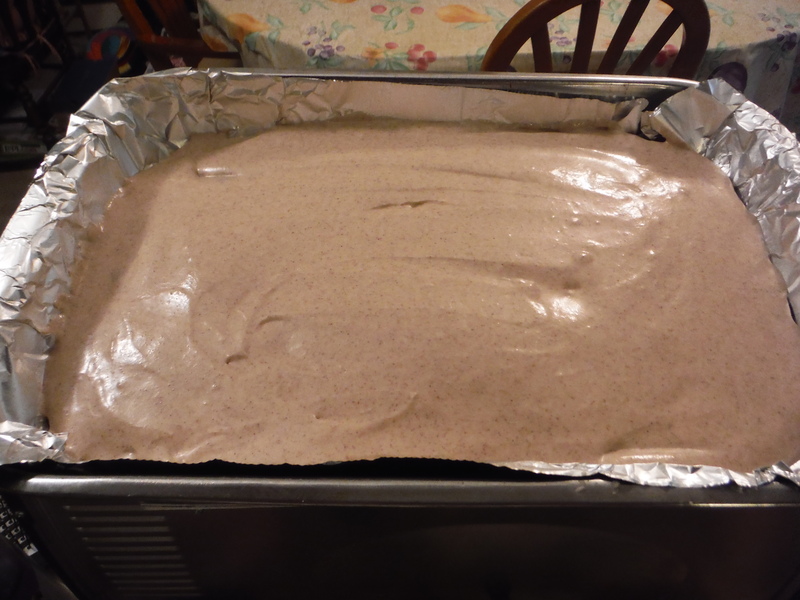 While not quite as fast as using boxed brownie mix, overall this recipe goes pretty quickly. It only took me a bit longer because I had to keep stopping to take pictures. I think these brownies would be a good dessert to whip up if you have a dinner guest you want to impress. Preheat oven to 350 degrees Fahrenheit. 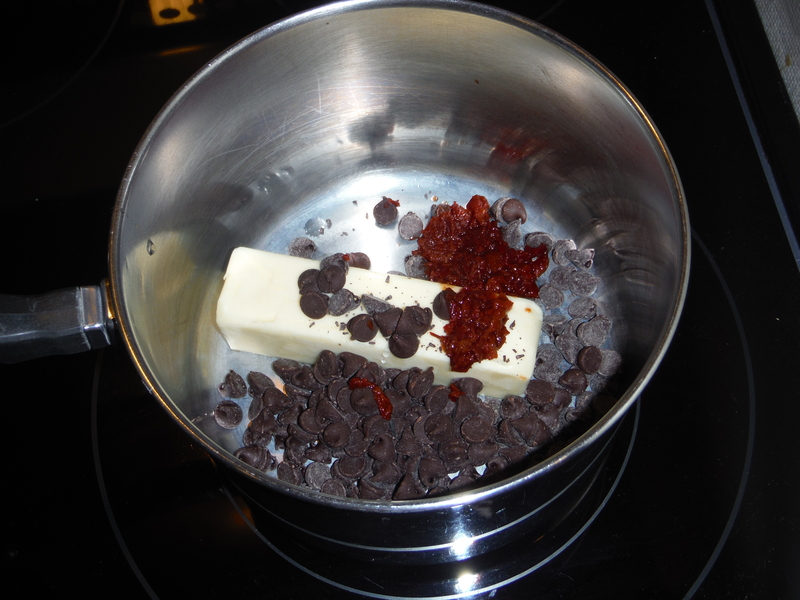 In a medium sized saucepan combine the butter, chocolate chips, and chipotles. 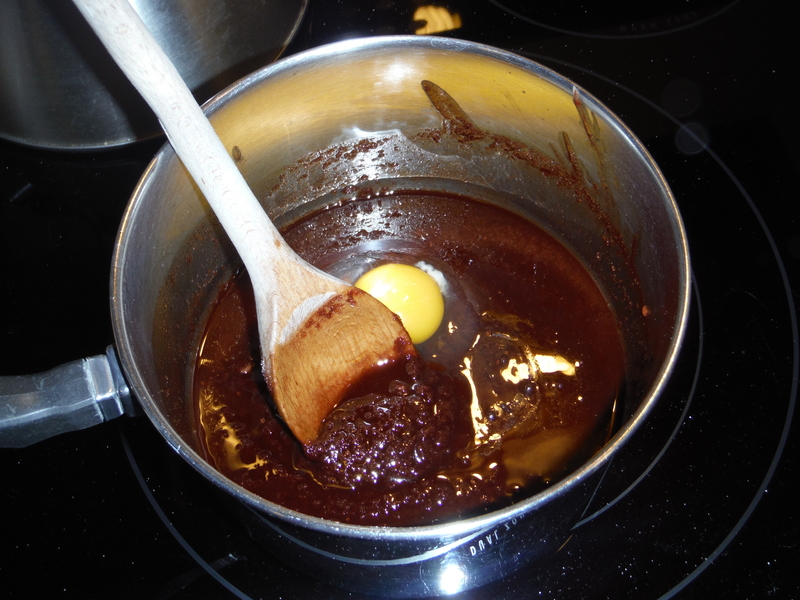 Cook, stirring often, until butter and chocolate is melted. Remove from the heat. (You could also do this in the microwave if you desire in a large bowl). 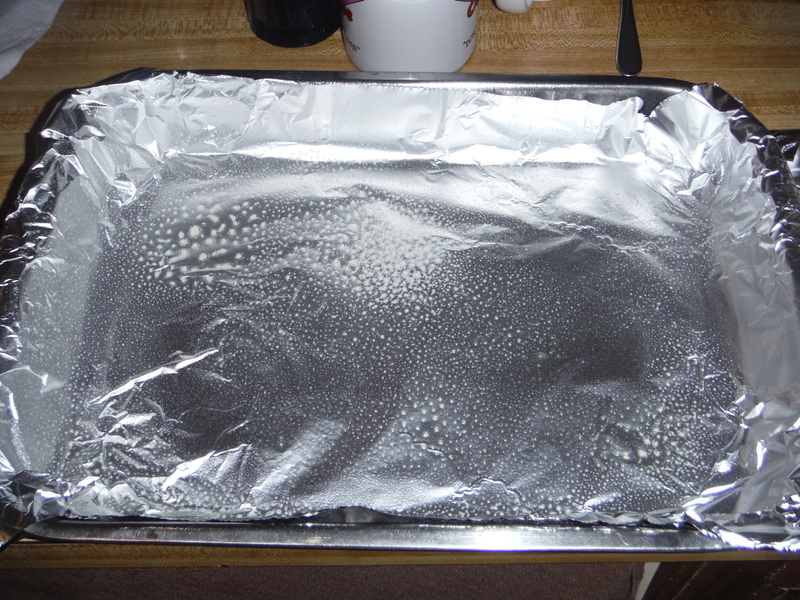 Line a 9x13x2 baking pan with foil, and spray the foil with non-stick spray. 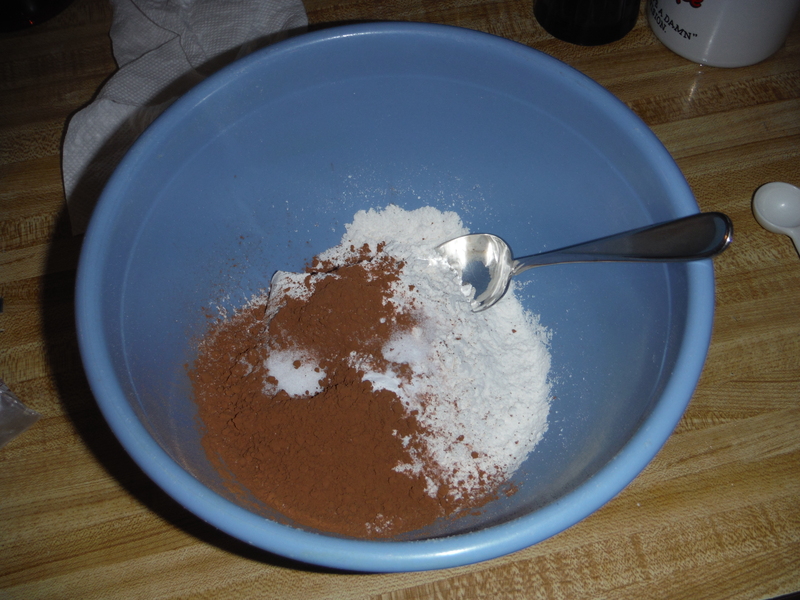 In a small bowl mix together the flour, baking soda, salt, and cocoa powder. 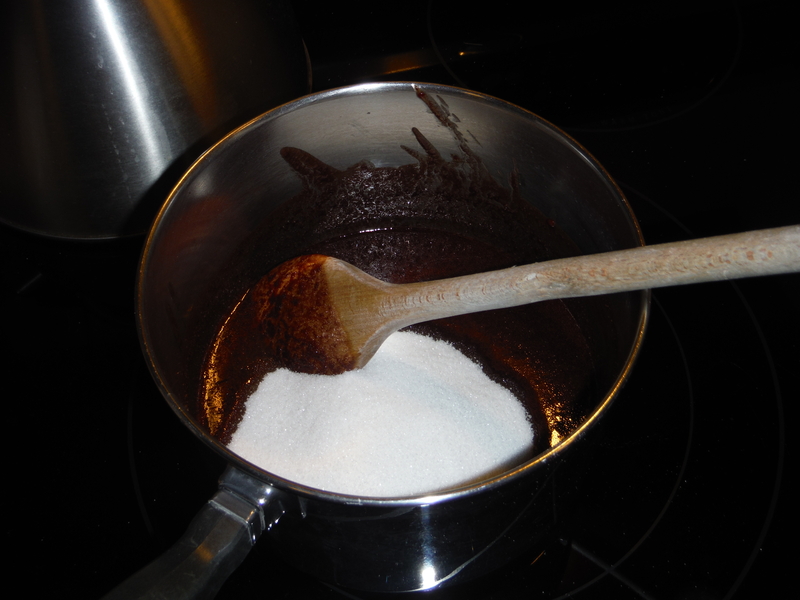 Once the chocolate mixture has cooled down a bit, stir in the sugar. Then add the eggs, one at a time, making sure each one is thoroughly combined before continuing. Add in the vanilla. Add in the dry ingredient mixture, stirring until just combined. 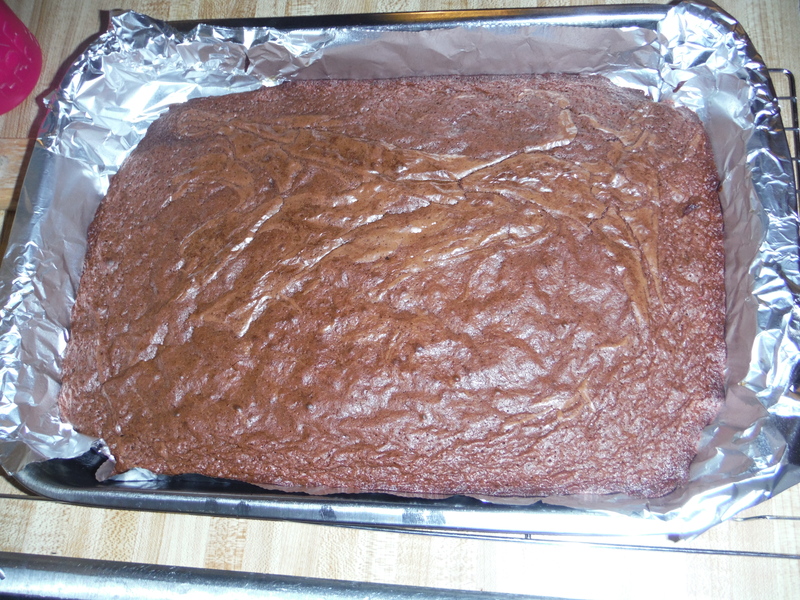 I made these brownies on the thin side since I knew they’d have a kick to them and I wouldn’t want too much at once. 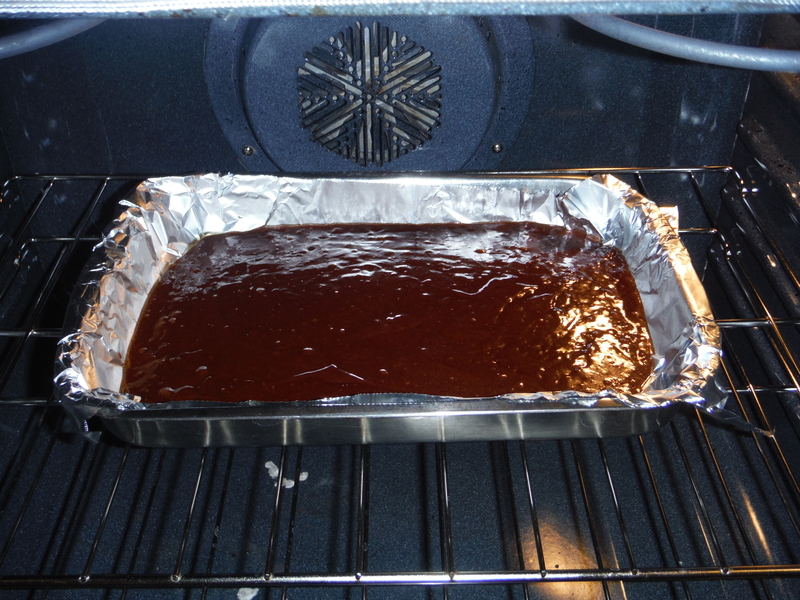 If you want your brownies to be thicker you can bake them in a smaller pan. You may need to increase the cooking time though. You can definitely increase or decrease the amount of chipotles to suit your spice preference. However I wouldn’t use less than two, since you likely wouldn’t even be able to distinguish the flavor at that point. For the chocolate chips, I used semi-sweet but you could use dark chocolate if you prefer. Posted on June 2, 2015, in Etcetera and tagged brownies, chipotle, CHOCOLAAAATE, crazy crossovers, Delicious, dessert, recipes. Bookmark the permalink. Leave a comment.